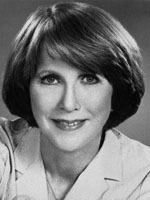 Julie Harris has won 5 Tony's 3 Emmy's, a Grammy, and been nominated for an Oscar. I adored Julie Harris and saw her many times on Broadway. She really WAS Emily Dickinson in "The Belle of Amherst" and brought her amazing talent and voice to so many roles in all media. Unfortunately, she died in August of 2013. You must update your history for her. I wish she still were with us. RIP, Ms. Harris.